Although you can purchase real flower jewelry at various stores or even online, it can be much easier, and cheaper, to make the jewelry yourself. In fact, this quick and simple process not only allows you to be creative with your jewelry, but you can turn making flower jewelry into a fun activity for you and your children. Gather your flower petals. Although these beads are normally made with rose petals they can also be made with other dried flower petals. The amount you will need depends on the quantity of beads you wish to make. Stick with several handfuls to ensure you don't run out in the middle of the bead making process. Using a blender or food processor, puree the petals until they are much smaller. Place the petals into a cast iron pan, using just enough water to cover them. The iron in the pan will create a deep hue in color when combined with the petals. Allow the petals to simmer on low heat; never boil the petals for this will ruin them. Continue to simmer for an hour then let the petals cool; repeat this process until the petals turn into a mush-like substance. Pour the petals into a strainer or sieve, draining as much water as possible. Roll a bit of the mass between your fingers to shape the beads. Larger beads will take longer to dry. Place the newly formed beads on a paper towel for at least 24 hours. String the beads with a wire, or pierce with a sharp object such as a toothpick to create a hole in the center of the bead then string with fishing line, when they are still slightly wet. Ensure that there is space between each bead when you string them, making sure they do not touch. Move the beads along the wire daily for easy removal once they are actually dry. The beads should be dry within a week; once dry remove from the wire. String the beads. Using special necklace or bracelet wire (which can be purchased at several craft stores), string the beads. Be creative with this process adding glass beads or silver and gold beads to the jewelry if preferred. (String the beads along fishing line making a knot at the top for a simple over the head necklace). 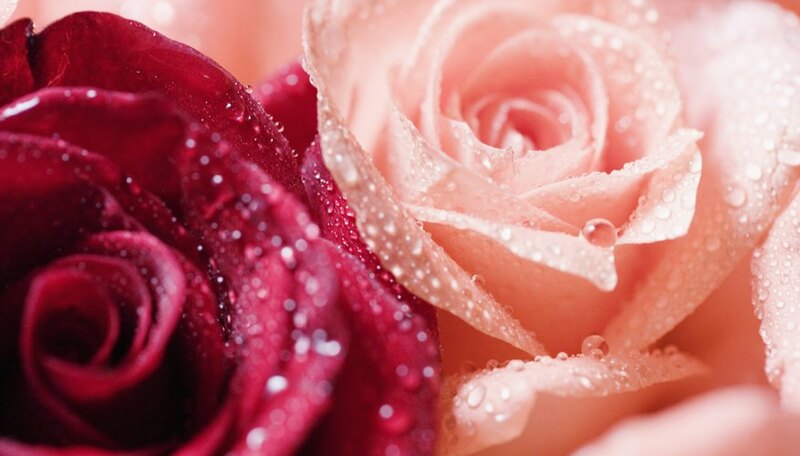 Add rose oil to your blender during the puree process, this will add a rose fragrance to your beads. No matter what color petals you use they will turn red, brown, or black in color once made into beads. The beads will shrink to half their size while they are drying. Wait until the mush is cool in the pan before sticking your fingers in it to avoid getting burnt.